Who are Grubby Hands, and where did you guys start out? I was always tinkering with some game project or another as a kid and in my spare time at college. After graduating, I landed a job at Bizarre Creations, where I made games for Xbox 360, PS3 and PC for five years. After the closure of Bizarre, Grubby Hands was born and the tinkering from many years before became a profession and the foundation of a business! Boy loves Girl is a great game. What was the inspiration behind it. Thanks very much! Boy Loves Girl came after pondering how difficult relationships can be. It can be very hard to keep a relationship well oiled and functioning, I wanted to capture the uphill struggle that relationships often appear to be. The first thing that was concrete in the game was the image of the boy holding the moon on a piece of string as a gift for the girl. The rest of the game was built around this central image. The boy ends up jumping through endless hoops to get the girls attention, such as: capturing the girl’s favourite animals, the stars in the sky, running around the world AND giving her the moon on a piece of string. It is a very different game from your first title, why the departure? One of the biggest benefits of running a small independent company is that you get to try out lots of very different ideas and can afford to take more risks than a bigger company. IOS is a very different landscape than we’re used to with consoles and PCs, this market plays games in a very different way. I think it’s healthy to change things and explore what people want to play on their phones. The art style reminds me of old PD games from the 1990’s, which is very much a compliment, how important to you is art direction? Art direction is very important for delivering the message, it’s even more important to take the right art direction for the type of message you want to convey. Boy Loves Girl is a cute and very simple story. 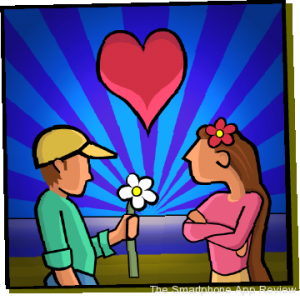 We felt the perfect way to communicate it would be in a similar style to the illustrations in children’s books. I feel this coherence is what gives the game its magic. The game got a great reaction from the press, as well as players, how does it feel to have your work praised so much? There is no better feeling than reading a review about your game written by somebody who really ‘gets it’. It doesn’t necessarily need to be posted on a big website either. We’ve had lots of big and small reviews and they feel just as good, even the tiny twenty five word App Store reviews are a pleasure to read if they show that the writer has embraced the game and enjoyed it. Will there be a sequel to Boy loves Girl? I made a sequel, called Girl Loves Boy. The characters didn’t seem too believable to me for a number of reasons: the boy being hard to please seemed overly brattish, boys’ desires are rarely as lofty as the moon on a string and all the stars in the sky. Boys are usually content after something simple, like a sandwich. So Girl Loves Boy has been shelved for the time being, maybe it’ll resurface later if I can find a way to make it work. There’s always the possibility for more content for Boy Loves Girl, once people have consumed the large amount of content that’s in the current game. How did you manage to get David Haye on board for the Knockout game, and will there be a sequel to it? I have a very good personal relationship with David, he didn’t take much convincing. 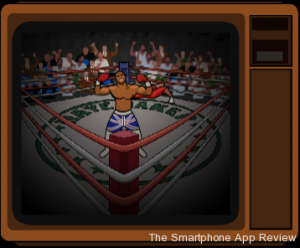 The conversation was much like that of two excited children: ‘Wouldn’t it be cool if every punch shook the screen,’ ‘…yeah, and if you could knock the opponent’s head out of the ring!’ Ideas bounced around like that for a few hours and David Haye’s Knockout was born. 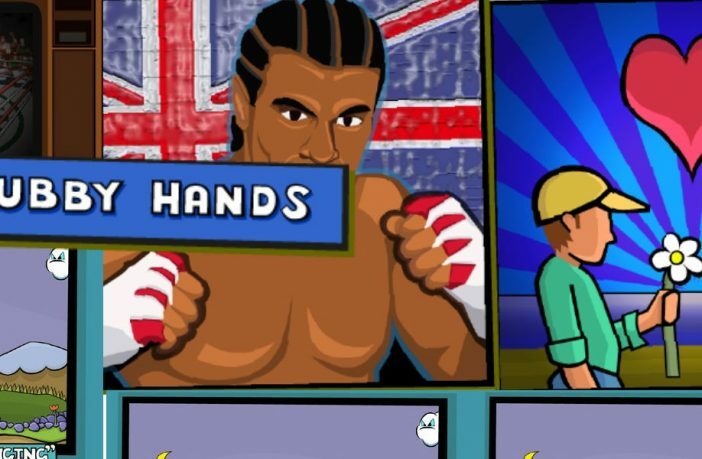 It was a great fun to work on David Haye’s Knockout and not releasing a sequel or a huge update would be a crime. We have something in the pipeline, that will be released in a few months from now. Finally, can you tell us of any other games you have in the pipeline? Our current schedule for the coming months is: 1) Another update for Boy Loves Girl to be released soon. 2) An unannounced David Haye project, to be released in a few months. 3) Start production on a new game that I’ve been prototyping for a while now. I can’t say much more on the new game as the exact details aren’t clear. But it’s definitely the most ambitious Grubby Hands project to date. We would like to thank Grubby Hands for agreeing to this interview and for giving us so much information about upcoming games! You can check out all our developer interviews here!